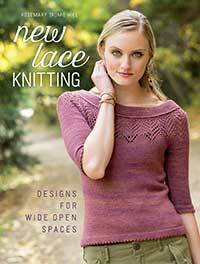 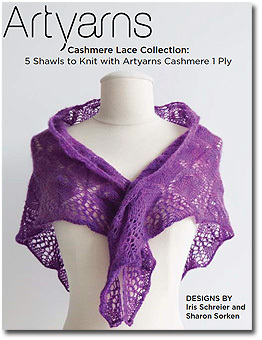 Artyarns 1 Ply Cashmere Lace Yarn is the perfect lace knitting yarn. 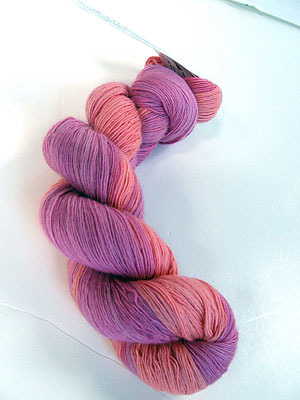 Delicate, yet with a beautiful depth of color - it's handpainted by Artyarns, remember - this yarn creates the most stunning and ethereal garments you'll ever make. 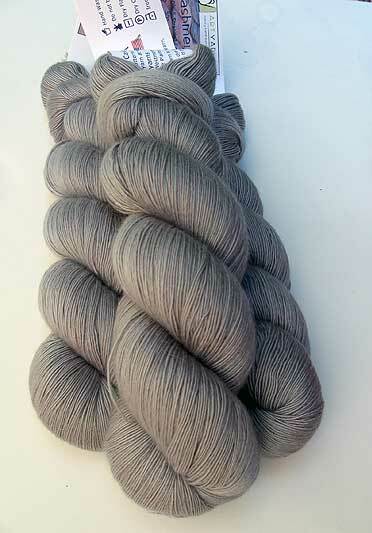 From the solid Black 246 to the whimsical 136 in oranges, purples and greys, you can let your imagination run wild with any lace knitting pattern - this yarn will show it off beautifully! 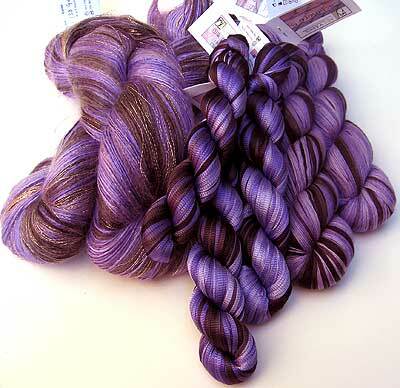 Artyarns 1 Ply Cashmere Lace Yarn138 with it's silk ribbon and rhapsody glitter partners!